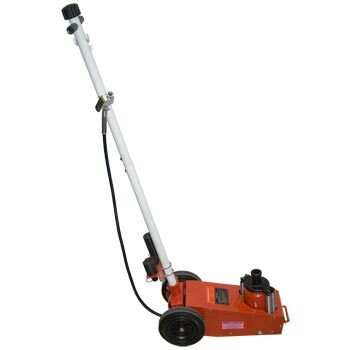 The JM-9022 is a 22 TON capacity Air / Hydraulic Service Jack designed for general automotive garage use. This Jack requires compressed air to operate. The JM-9022 Service Jack's weight is just under 101 LBS. If you have any questions regarding shipping procedures or would like more information on this equipment, PLEASE CALL US AT 1-888-736-5094!